If you are not convinced, read our top 5 reasons to choose sailing for your perfect holiday here. The hard part is choosing the location and deciding on itinerary and what islands to explore. 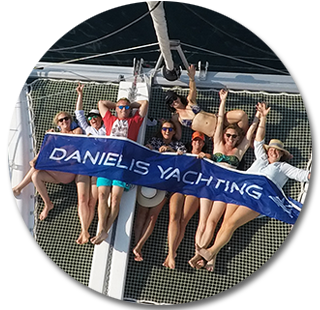 We at Danielis Yachting have plenty of suggestions to help you decide on the perfect vacation. But there are several mistakes even the most advanced sailors make. And that is the decision on what to take with you on a trip. With this 10 tips we will help you get prepared for your ultimate sailing vacation experience in Croatia. They sound like obvious things but there are things you should check twice: your passport, as well as a copy of your passport to keep in a separate place in case your original is lost, your charter package paperwork, credit cards, ATM card and cash. Croatia is in the European Union, but Croatian Kuna is the local currency in Croatia. So make sure you exchange your money and have enough cash before you set sail on your yacht. Major credit cards are accepted in the large supermarkets, marinas and restaurants, however in the smaller local shops or cafes on the island you may have the problem if you don`t have cash. Some smaller places on the island also may not have ATMs so you should not rely on them. Also if you plan on going clubbing, you should bring cash with you. If you are planing on spending a lot, you should inform your credit card company about your trip before you leave so they don’t shut down your card due to strange and exotic ATM location withdrawals. It is also a good idea to have some kind of day pack or fanny pack that lets you carry money, sunglasses, passport, guide books, a water bottle, sunscreen or anything else you might need ashore. As we already said, with plenty of sun and sea you will need very little clothes for your sailing trip. Aboard the boat you will spend most of your time in swimwear but when you step on the mainland to visit some finer class restaurants or go clubbing, you will require dress trousers and shirts for men and dresses for women. For a one week sailing vacation, you will need the following clothing items: 3-4 swim suits, women should bring 3 dresses and 3 pairs of shorts, and 3 T-shirts/tank tops, while men should bring about 5 T-shirts /or 3 T-shirts, 2 shirts and 3 pairs of shorts and enough underwear for the week. In the case of chilly and windy nights it is good to bring a pair of long sleeves and windproof jacket with you. You will spend most of your time wearing sandals or flip flops but bring a pair of walking shoes that you can use when you go out in the club or when you go to some fancy restaurant. There is no need to buy fancy boat shoes. Make sure your walking shoes have a rubber sole to avoid making scuff marks and also to ensure you don’t slip and fall on deck. Make sure you have protection from the sun. Combined effect of overhead tropical sun and reflection from both sails and water can cause severe sunburns. So everyone should pack a 50+ sunscreen. Girls, pack your wide brim hats! In addition, do not forget sunglasses, a baseball cap or sun visor, and sunburn soothers. Don`t let your sailing vacation be ruined because of small emergencies. Bring your prescribed medicine with you! Although most chartered sailing vessels will have a First Aid Kit aboard, make sure to bring a small pouch of band aids, antibacterial cream, aspirin or non-aspirin pain relievers, seasickness remedies, anti-diarrhea medication, and a small can of bug spray. It is also important to bring along a small flashlight. Always have enough medicine on hand for a couple of extra days in case of travel delays when returning home. In Croatia you will have a lot of opportunity to snorkel and explore stunning underwater reefs and pristine bays, beaches and coves. Although snorkel gear is supplied by most companies, consider bringing your own mask, snorkel, fins or GoPro camera to capture your special moments in Croatia. Don`t worry Danielis Yachting can help you with all of these. Yo are probably thinking about reading that one particular book for a long time now but you never got the time to do so. Bring it with you. Sailing is a great way to relax, unwind and escape. Lay back on the deck as you sail past the stunning coastline ahead and you’ll be surprised at how much free time you now have and how many great books you can get through when you are away from modern day distractions such as TV and smartphones. Board games, playing cards, camera and MP3 players are also something you should consider. Include all the small items for free time either during an inter-island passage or in the anchorage. Remember number 1, pack in just the basics. Your sailing packing list must-haves are soap, shampoo, conditioner, toothbrush, toothpaste, motion sickness meds, mosquito repellent, skin moisturiser and antiperspirant deodorant. Girls, bring your hairbrushes, elastics, headband, a razor, and if you think you’ll need them (let’s hope not) tampons. Leave all your good jewelry at home so you don't lose it in the sea. Food, water and drinking items are generally more expensive on the smaller islands than on the land due to logistics, so you should consider provisioning. Provision yourself from one of the local markets and supermarkets like Konzum, Interspar or Lidl. Tap water is perfectly safe for drinking in Croatia, but water from water tanks on the boat is not recommended for drinking. These are top 10 tips that will help you plan your dream sailing holiday. And don’t worry, Danielis Yachting is here to help you with any issues you’re concerned with. 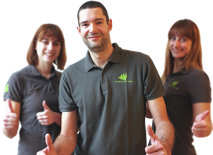 If you have a question, just ask us! 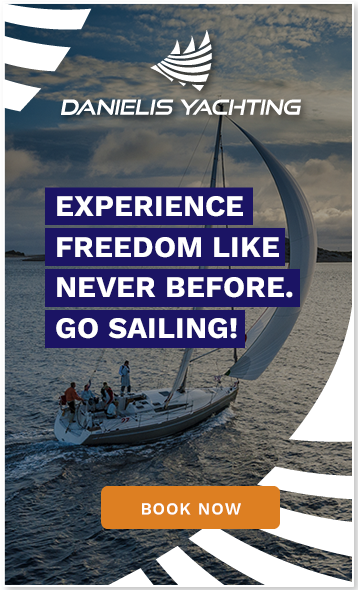 Explore our offer and start planning your perfect sailing holiday now.